The Kavinoky Theatre, a professional theatre on the campus of D’Youville College, continues its 38th season with its production of Ben Butler by Richard Strand. When an escaped slave shows up at Fort Monroe demanding sanctuary, General Benjamin Butler is faced with an impossible moral dilemma — follow the letter of the law or make a game-changing move that could alter the course of U.S. history? Part comedy, part historical drama, Ben Butler is clever without being glib, meaningful without being pretentious, and sidesplittingly funny. It’s a timeless exploration of social conscience and individual responsibility. Director Robert Waterhouse has assembled a cast of some of Buffalo’s finest actors, including John Fredo as Ben Butler, Christopher Evans as Lieutenant Kelly, Tom Loughlin as Major Cary, and Atlanta-based actor Patrick Coleman as Shepard Mallory. Performances begin Friday, March 2 and run thru Sunday, March 25. Show times are as follows: Thursdays and Fridays at 7:30 p.m., Saturdays at 3:30 and 7:30 p.m., and Sundays at 2 p.m. The gala opening night performance will be held on Friday, March 2 at 7:30 p.m. and includes a reception with the cast following the performance. Tickets are $42, with discounts available to seniors, students, military, and groups. 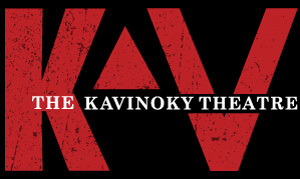 For tickets, call (716) 829-7668 or visit kavinokytheatre.com. Be the first to comment on "Kavinoky Theatre to present Ben Butler"